Failure of hip preservation to alleviate symptoms potentially subjects the patient to reoperation or conversion surgery to THA, adding recovery time, risk, and cost. A risk calculator using an algorithm that can predict the likelihood that a patient who undergoes arthroscopic hip surgery will undergo THA within 2 years would be helpful, but to our knowledge, no such tool exists. (1) Are there preoperative and intraoperative variables at the time of hip arthroscopy associated with subsequent conversion to THA? (2) Can these variables be used to develop a predictive tool for conversion to THA? 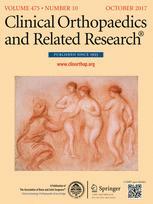 All patients undergoing arthroscopy from January 2009 through December 2011 were registered in our longitudinal database. Inclusion criteria for the study group were patients undergoing hip arthroscopy for a labral tear, who eventually had conversion surgery to THA. 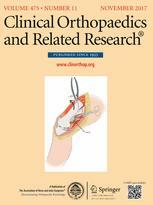 Patients were compared with a control group of patients who underwent hip arthroscopy for a labral tear but who did not undergo conversion surgery to THA during the same study period. Of the 893 who underwent surgery during that time, 792 (88.7%) were available for followup at a minimum of 2 years (mean, 31.1 ± 8.1 years) and so were considered in this analysis. 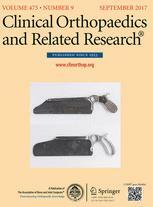 Multivariate regression analyses of 41 preoperative and intraoperative variables were performed. Using the results of the multivariate regression, we developed a simplified calculator that may be helpful in counseling a patient regarding the risk of conversion to THA after hip arthroscopy. Variables simultaneously associated with conversion to THA in this model were older age (rate ratio, 1.06; 95% CI, 1.03–1.08; p < 0.0001), lower preoperative modified Harris hip score (rate ratio [RR], 0.98; 95% CI, 0.96–0.99; p = 0.0003), decreased femoral anteversion (RR, 0.97; 95% CI, 0.94–0.99; p = 0.0111), revision surgery (RR, 2.4; 95% CI, 1.15–5.01; p = 0.0193), femoral Outerbridge Grades II to IV (Grade II: RR, 2.23 [95% CI, 1.11–4.46], p = 0.023; Grade III: RR, 2.17, [95% CI, 1.11–4.23], p = 0.024; Grade IV: RR, 2.96 [95% CI, 1.34–6.52], p = 0.007), performance of acetabuloplasty (RR, 1.83; 95% CI, 1.03–3.24; p = 0.038), and lack of performance of femoral osteoplasty (RR, 0.62; 95% CI, 0.36–1.06; p = 0.081). Using the results of the multivariate regression, we developed a simplified calculator that may be helpful in counseling a patient regarding the risk of conversion surgery to THA after hip arthroscopy. 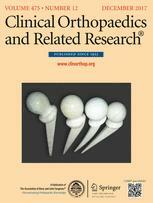 Multiple risk factors have been identified as possible risk factors for conversion to THA after hip arthroscopy. A weighted calculator based on our data is presented here and may be useful for predicting failure after hip arthroscopy for labral treatment. Determining the best candidates for hip preservation remains challenging; careful attention to long-term followup and identifying characteristics associated with successful outcomes should be the focus of further study.